Resource center What Is the Best Type of Therapy in Rehab? What is Motivational Interviewing? The National Survey on Drug Use and Health (NSDUH) published that among adults in America (aged 12 and older) in 2013, approximately 22.7 million needed treatment for a drug or alcohol abuse or dependency; however, only 10.9 percent received adequate care in a specialty facility. Most of those needing, but not getting the proper treatment – 95.5 percent according to NSDUH – didn’t feel that they needed substance abuse treatment. Denial is a common theme in addiction, as is the lack of motivation to change, or ambivalence about personal substance abuse and the desire to change. Motivational Interviewing, or MI, is a therapy technique that seeks to enhance, or create, a person’s drive for positive change surrounding substance abuse. Highlighted by Miller and Rollnick in 1991 and based on Carl Rogers’s theories of self-actualization, MI methods are used to increase an individual’s internal motivation in a nonconfrontational manner. With MI, a therapeutic and mutually respectful relationship is built between the therapist and the individual receiving care, the Treatment Improvement Protocol (TIP) published by the Substance Abuse and Mental Health Services Administration (SAMHSA) states. As of 2013, MI is practiced in all 50 states and has benefitted over 3 million individuals, SAMHSA’s National Registry of Evidence-based Programs and Practices (NREPP) publishes. When Is Motivational Interviewing Used? Motivational Interviewing may be used during an initial intervention or assessment for substance abuse or dependency. It may be effective even in short meetings of only 15 minutes. The British Journal of General Practice (BJGP) reported that MI had an effect on 64 percent of individuals in brief encounters, and more sessions increased effectiveness. MI is a technique that requires therapists to ask open-ended questions and focus on helping individuals to realize that their behaviors are destructive without being judgmental or forcing change upon them. It is up to individuals to see the need for change themselves, and MI therapists help to bring internal motivation to the surface. Motivational Interviewing is therefore extremely client-centered and goal-oriented. When used during an intervention, MI may be helpful in getting individuals who don’t see that their drinking or drug abuse is a problem to recognize that a problem does exist, find the desire to enter into a treatment program, and find the motivation to stop engaging in risky or self-destructive behaviors. The goal of an intervention is to help an individual enter into a treatment program voluntarily, and using MI techniques may help this. MI may be used as a brief intervention or as part of a more comprehensive treatment plan. Motivational Interviewing may also be used during outpatient or residential substance abuse treatment. It may be especially beneficial when used with other therapy and counseling models as well. 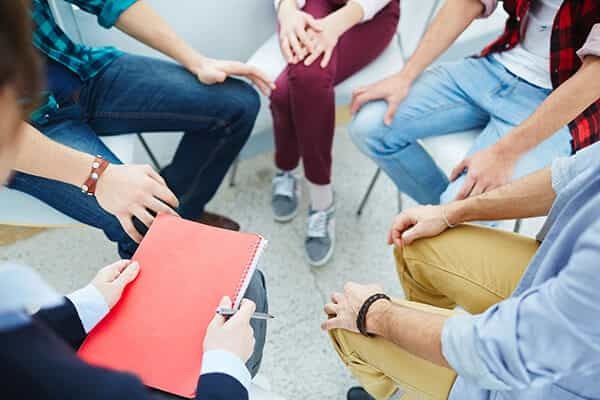 Cognitive Behavioral Therapy, or CBT, is one of the commonly used methods in treating substance abuse, addiction, and co-occurring mental health issues. CBT explores the connection between a person’s thoughts and the subsequent actions, working to develop better coping mechanisms and helping to create a healthy life balance. Negative and self-destructive thoughts and actions are modified into more positive ones. MI may be able to enhance CBT teachings and therapies. A study published in the journal Child and Adolescent Psychiatric Clinics North America showed that when MI was combined with CBT, it was especially useful in decreasing the number of alcoholic drinks and episodes of problem drinking by youth who were considered at-risk for alcohol problems, both at the initial follow-up and again at a two-month check-in. MI techniques may be just as effective as other substance abuse treatment methods. They can even be faster and cheaper in the long run, especially when used in conjunction with other therapies. MI may also be useful in helping individuals to eat better, exercise more, or take prescribed medications more regularly; it can therefore be beneficial for those suffering from eating disorders, schizophrenia, hypertension, or diabetes, Harvard Health publishes. Motivational Interviewing may not follow a linear progression, as addiction is a dynamic disease that presents differently in everyone. MI is based around the five aspects of change that may exist in a cycle, as defined by SAMHSA. These five aspects of change are: precontemplation, contemplation, preparation, action, and maintenance. An MI therapist works with individuals battling substance abuse and/or addiction to move through the steps on their own accord, recognizing that there will be shifts between the stages and that they may not occur in order. Therapists do not try to force change; rather, they strive to motivate individuals to want to make better choices on their own by accepting that their thoughts and feelings are valid first. MI focuses around acceptance, empathy, and respect. A positive and trusting relationship between therapist and client is an important partnership that is crucial to effective MI therapy. Empathy is expressed by active listening. A discrepancy is developed between the individual’s actual actions and the desired goals or values. Direct confrontation and argumentation are strictly avoided. Resistance is expected; rather than opposing it head on, adjustments are made accordingly. Self-efficacy is supported, and optimism is heralded. An individual’s strengths are highlighted with MI, and feelings are validated and affirmed. The therapist will likely ask questions regarding a person’s substance abuse and listen to why the person may or may not feel the need to change. There are almost always some perceived barriers to change, and MI can help individuals to work around these obstacles by setting attainable goals. MI is thought of as both a technique and a counseling style, and it may be successfully used during the many stages of substance abuse treatment and recovery. Motivational Interviewing can help a person to realize inner strengths, find the desire to change from within, and resolve ambivalence towards treatment. In so doing, MI can increase the odds that an individual will remain in treatment, the journal Social Work Today reports. Treatment retention and length of time in treatment are often directly tied to long-term recovery rates, as the longer someone remains in a treatment program, the more likely a sustained recovery may be. MI may be brief, and used as an intervention tool, or it may be part of a complete treatment program, used in conjunction with other therapies, counseling, and support groups. As with all therapies, its use should be determined on an individual basis, taking the person’s unique circumstances, recovery goals, and progress into account.